To promote Gorillaz new album, Humanz, we teamed up with Warner Music, Gorillaz and Steamboat. 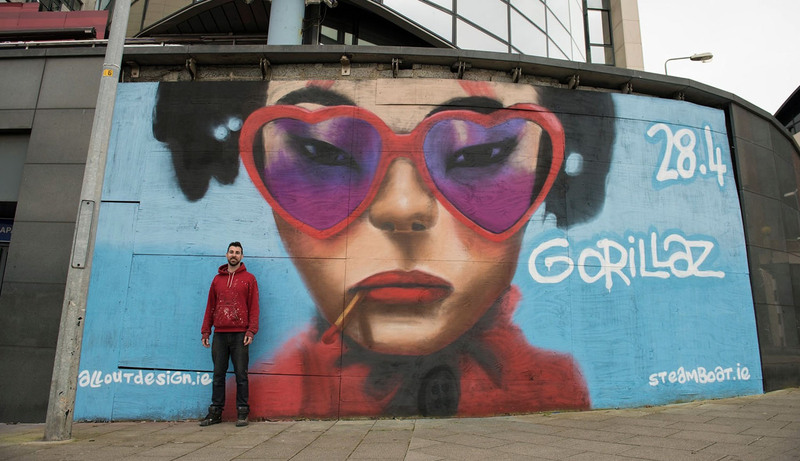 Over night in Limerick City Centre we created a monster mural without warning to kick off the Gorillaz worldwide guerrilla marketing campaign. Gaining international news coverage and 1.5M+ views, it was most definitely a successful campaign.